No #SummerOfDan is complete without a voyage to a brewery or two. 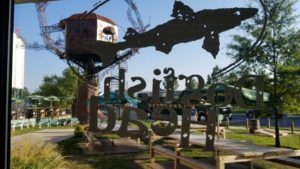 In August, to a pre-conference Beer Bloggers and Writers Conference excursion, I got to visit Dogfish Head Brewery in Milton, Deleware. As much as I thought I knew how epic and grand the experience would be, I had no idea I would come away from my adventure with such respect, love, and genuine giddiness for the brewery and people behind the brand. 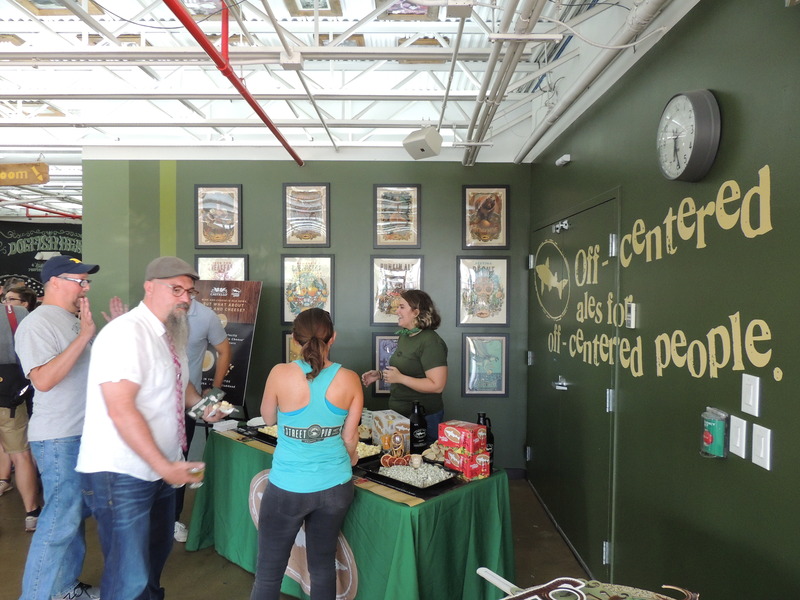 Dogfish Head Brewery is an independent craft beer trailblazer and powerhouse. 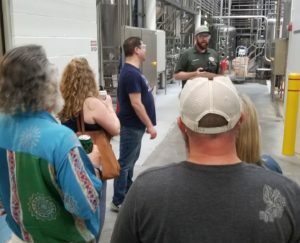 They brew beers that they want to drink and have shown that to be more than a viable way to spread the gospel of craft beer. 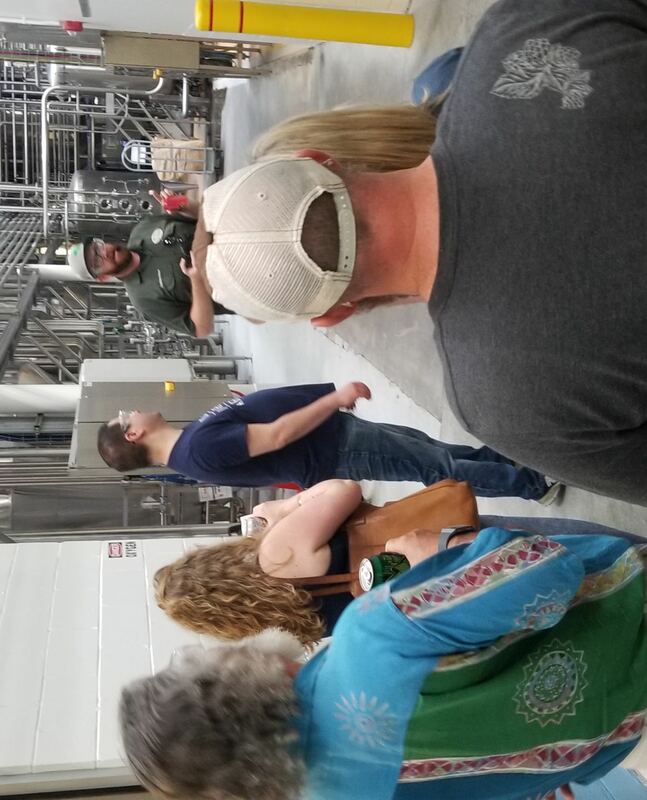 Located in Milton, Deleware, this once tiny and unassuming brewery is now a sprawling production facility that has branched into distilling, hospitality, and has a brewpub! 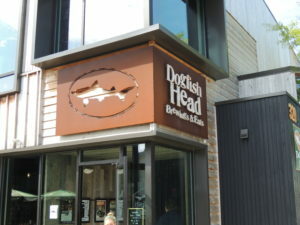 The Dogfish Head logo is unmistakable and iconic. Not just in Delaware, but at any beer bar in their 42-state reach. Luckily, we have been enjoying their beers locally in MN for the last six months. However, their story and path to such sustainable success is only part of the equation. 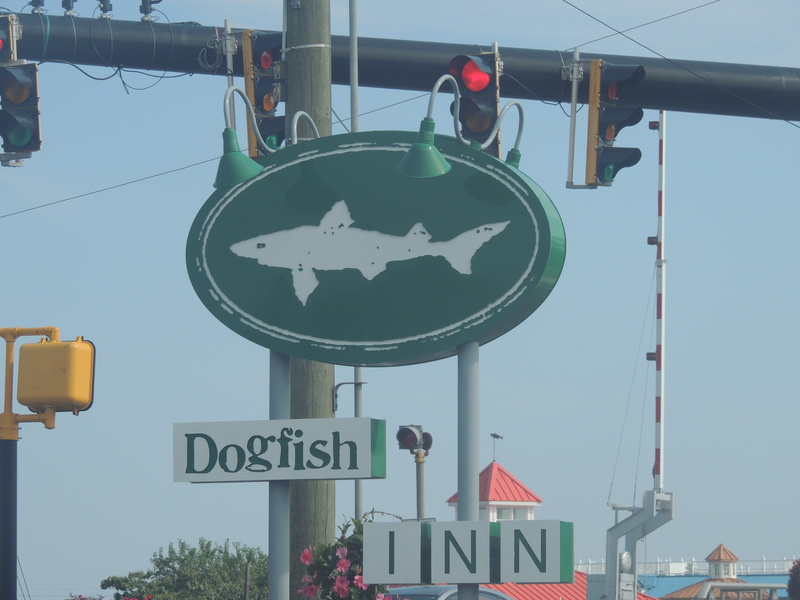 To get to Dogfish Head from our hotel in Sterling, VA, is a good 3 hours by bus. We are making a pitstop in Baltimore to pick up another group of festive beer fanatics as they wrap up their tour of the Guinness Open Gate Brewery. 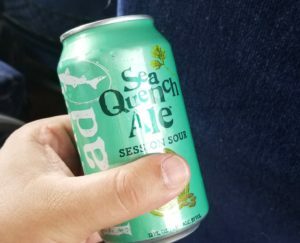 I am in my seat on the bus for no longer than a minute before Lars, our Dogfish Head tour guide for the bus ride, asks me if I need a beer. Well, I am no fool and oblige his hospitality with the requisite acceptance of a refreshing can of Seaquench Ale, a beer combining elements of a Kölsch, Gose, and Berlinerweisse. What a perfect beer for a bus ride! I am no stranger to Seaquench and I love how amazingly crisp it is. The flavors of sea salt and black limes burst out of this beer. As we roll along, we eventually cross the Potomac and I can’t help but feel like somewhere, George Washington is a bit jealous of my river crossing experience. Although I am not playing a part in a revolution, I am wearing a wig and a codpiece. As the ride continues, Lars is dropping a ton of Dogfish Head knowledge that will come in handy later when we do trivia on the bus with the rest of the goofballs who are at Guinness. Speaking of Guinness, there is a robust contingent of beer writers who were doing a pre-conference excursion there for the last day and a half. We are picking them up to add to our numbers and the collective ABV of the bus is about to skyrocket. I am happy about this for several reasons. First, I am happy to reconnect with many people I met last year for the first time. Second, I am going to at least be able to try some of the beer and Guinness and snap a few pictures. Last, but certainly not least, I have to pee like a racehorse and my back teeth are floating. No sooner has the bus driver thrown the chariot into park then I am off and running in to use the facilities. 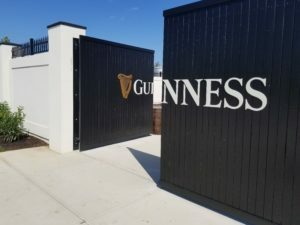 The Guinness Open Gate Brewery is huge! Almost the size of my bladder at this moment in time. We see the other bloggers coming out of the building and cascading down the stairs like the bubbles in a pint of stout. I momentarily forget the fact that nature is calling with a telethon level of urgency because I am so excited to see all these friendly faces. 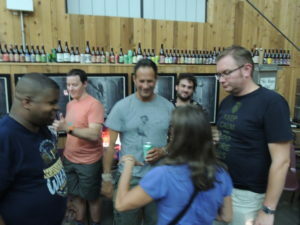 Greg Washington (Daddy Porter), Jeff and Chris Estes (Bottle Makes Three), David Bardallis and Amy Vollman (Ann Arbor Beer), Daniel Fisher (Life on Tap) Jeremy Hylen & Joel Gratcyk (BreweryFinder), Huck (Huck’s Beer Buzz), and Paige and Rick Didora (Alcohol By Volume) among others. The smiles and hugs are heartwarming and I want to chat with them all-after I pee. After checking out the facilities, I can now check out the facility. The place is huge. I gift shop with no doors just begs you to spend money on gear. I look around the main brewery, all anchored by a bar in the middle that serves on both sides of the drink board. 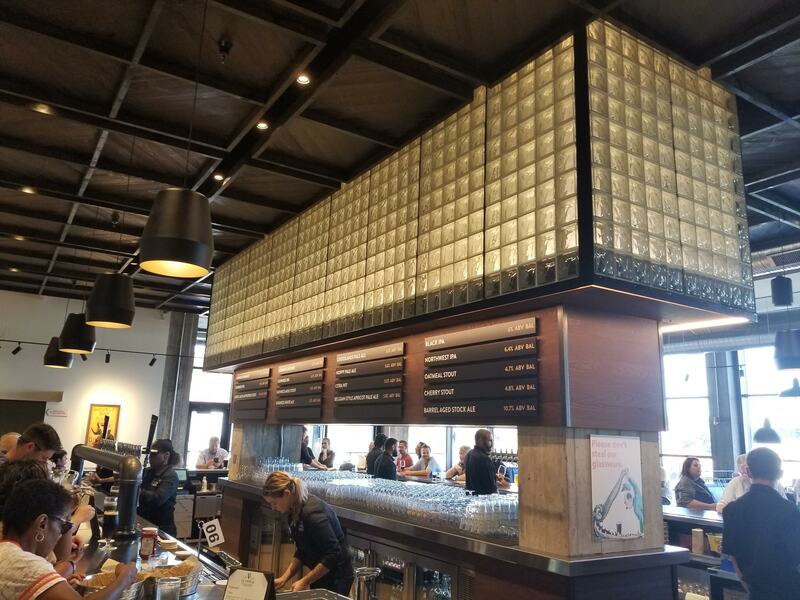 My friend, Tiffany (The Traveling Pint) orders a flight and soon find out how they are paying for all of this grandeur-they are charging 17.00 for a flight!!! 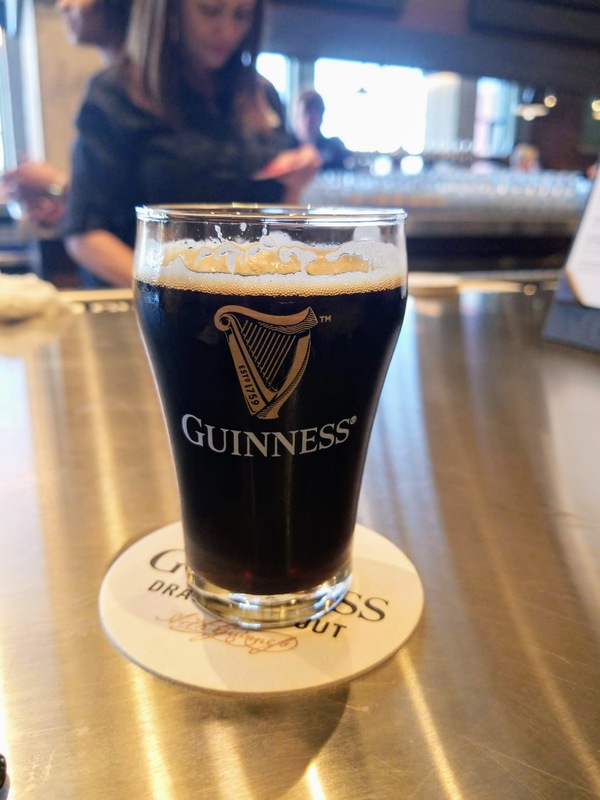 I order a taster of an oatmeal stout and the cost is $4.00! I asked the server if it came with a backrub, but she was not amused. The price is outrageous, but the scenery is gorgeous. I drink my taster and have to help Tiffany slam her flight so we can get back on the bus. The atmosphere on the bus has gone up to 11 with the influx of boozed-up bloggers. It is officially a party bus and Lars has to deal with Huck now. Huck is an affable gent who loves the art of social interaction. He also has no filter and often pole vaults over the line that most people dare not even straddle. I am now sitting next to Tiffany and I think that she is my Canadian spirit animal. We have the same sense of humor and are also drinking copious amounts of Dogfish Head Namaste to stay hydrated. For some odd reason, Tiffany has a pair of jeans slung over her shoulder and a hooded sweatshirt in her lap. I think she is expecting an Alberta Clipper to roll in and zap the humidity out of the air. As her seating area becomes more and more like a recycling initiative, we continue laughing and chatting. Before I know it, we are driving up to the brewery and it is reminiscent of the scene in Jurassic Park when Dr. Alan Grant sees dinosaurs for the first time. 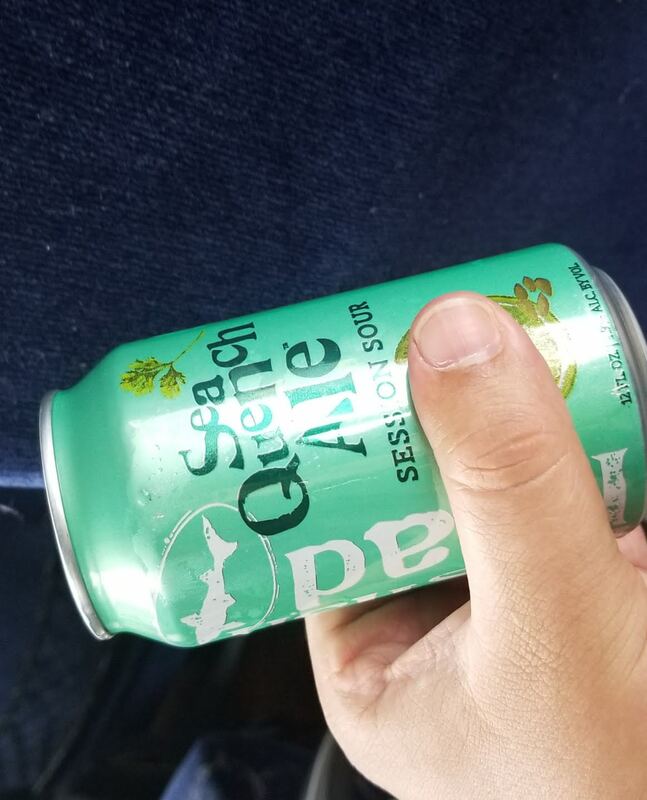 My neck hairs stood on end, I may have teared up, and I had to crack another Seaquench Ale. We have arrived. I am so excited to see the place that up until now was just an image on my laptop screen. A Dogfish Head Welcome-Say Cheese! To me, nothing makes me feel like I am really going for it more than a table of beer and cheese pairings. So, imagine how fancy I felt when I locked eyes with the cheese and beer pairing station! 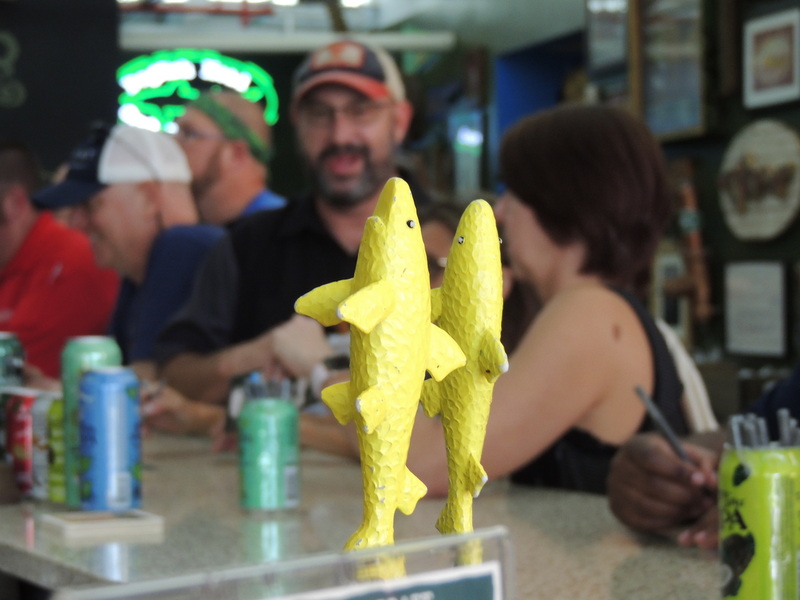 That was just one of the stops that Dogfish Head pulled out for us. 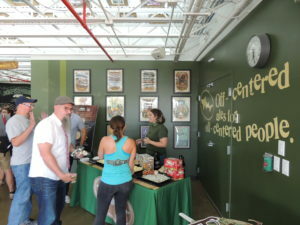 They set us up with flights and fed us with a delicious array of beer-infused recipes. Of the myriad of culinary delights, my favorite, by far, is the meatballs in the brown ale sauce. They had such a depth of flavor, a smart combination of savory and sweet, they also had a modicum of spice. Before I know it, I a m sipping on a taster of Punkin Ale and loving life. An announcement is made about tours and I finish my beers and grab a pint for the tour. We go throughout the entire facility, including a view of their distillery area where there is just row after row of barrels. We taste a sample of their honey rum and it is a definite winner. Being on the tour and reconnecting with so many people is magical. Between reminiscing and laughing, I am getting a lot of great pictures of this palatial brewery. 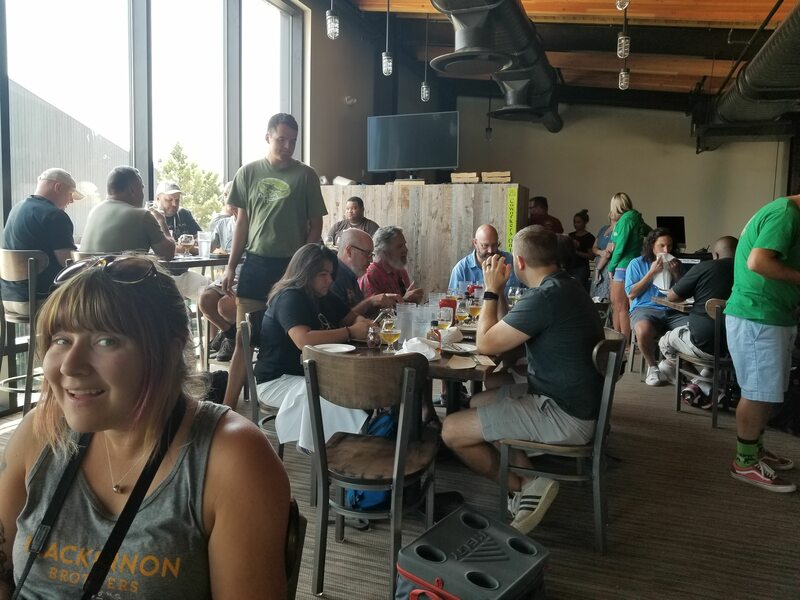 Eventually, we are back in the tasting room for more beer and food. 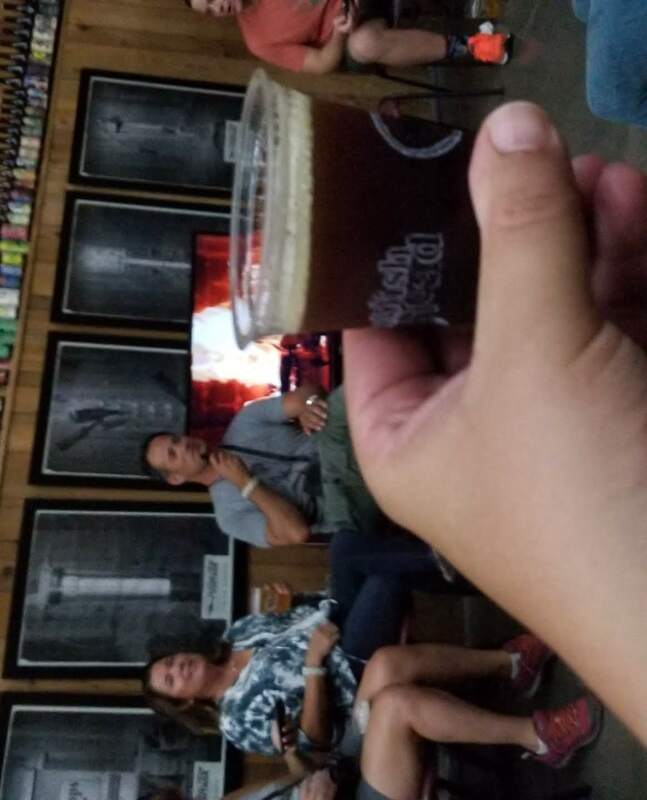 The main event awaits, a fireside chat with Sam and Mariah Calagione. I am not sure quite what to expect. Will it be a cookie-cutter, almost forced exchange of phoned-in sincerity? Or, will we get to really know Sam and Mariah and go beyond the surface of how Dogfish Head started? They say that behind every great man, there is an even greater woman. Well, no offense, Sam, but regarding your partner in crime, Mariah, truer words have never been spoken. 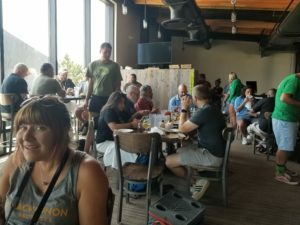 About 40 bloggers, podcasters, and social media influencers enjoyed a very casual and intimate fireside chat about beer and life with Sam and Mariah on Wednesday, August 8th in the brewhouse. As we file into the brewhouse, we each are provided a pour of 2008 120 Minute IPA. I grab a seat next to David Bardallis, who is as geeked up as I am. I look around the room and notice that everyone’s expressions look like a kid who is about to give their holiday wish list to Santa Claus. There is a genuine and palpable feel of awe. This is what passion looks like. There are people in the room who have seen everything in the world that moves the beer excitement needle. Yet, here we all are, slowly picking our jaws up off the floor as Sam and Mariah Calagione are talking with us. They are not talking at us. They are engaging in a real conversation that feels less like a planned event and more like a chance meeting of an old friend at the local bar. 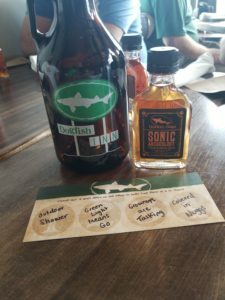 The questions range from what is Dogfish Head names after to the state of craft beer in the country. Sam and Mariah share the microphone equally and this reinforces how much of a team they are in life and the brewery. Sam explains that we are on the edge of a shakeout. The days of opening up a brewery that will easily have success in the realm of distribution are over. The taproom model is something that makes more sense and is a lot more economically viable with the fervency of the drink local movement. Sam also explains how he had to fight tooth and nail to get laws changed so that his dream could become reality. I will remember the fireside chat with Sam and Mariah for as long as I live because of how nice and welcoming they both were. The evening continues afterward in the taproom. I load up in the gift shop with a hat, a few shirts, and a tin tacker sign for the basement. I enjoy another pint or two of Punkin Ale and before long, I am back on the bus. 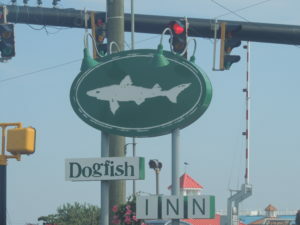 We are on our way now to check in at the Dogfish Head Inn, a cozy bed and breakfast-style hotel where most of us are staying for the night. Of course, being the intrepid beer travelers that we are, the night is not over yet. The spirit of adventure and exploration compels a group of us to walk down to the beach. The map made it seem like 2 inches, but in fact, it is more like a 10-minute walk. However, the sweltering and oppressive humidity of the east coast warms us like a hug the entire way. By the time we get to the beach, it is a consensus that we use this opportunity to go for a twilight dip in the ocean. 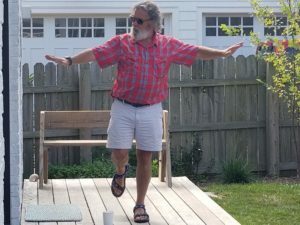 Despite my intense fear of sharks, the air of adventure and the 120 Minute IPA coursing through my veins compels me to follow the crowd into the Atlantic. Under the cover of night, a group of us (Huck, Ryan, Gina, June, Rita, Tiffany, Jeremy, and Zach) ditch our clothes, and clad in only our skivvies, wade into the liquid depths of the sea. Between Huck threatening to take all of his clothes off and the feeling of camaraderie, we are all emboldened to take this swim together. At this moment, I have no fear or being eaten by a shark, but more the feeling of not wanting this fun to end. After we are cooled down, we make our way to The Wheelhouse and meet several other bloggers who skipped the ocean in favor of cocktails and more beer. I feel bad for the 7 or so locals who are here to enjoy a quiet nightcap. As the reverie continues, I order a Heavy Seas Powder Monkey on cask to keep the night going. David Bardallis and Amy Vollman are already at the bar with Jeff and Chris Estes eating wings and drinking beer. Ryan Newhouse and Gina Schauland enjoy an oyster shooter. Then there is Huck who is, well, being Huck. The laughs are filling the room and eventually, it is time to go. As we walk back to the hotel, I am elated to find my boxers are right where I left them to dry in the parking lot, strewn over a rope that is part of a lighthouse decorative fixture. I exclaim to all who will listen that the people of Delaware are a trustworthy people. I head back to the hotel and Tiffany, my roommate for the night, and I crack a beer. We sip and giggle as we replay the events of the day. We are both in awe of how much fun this day was. We are also happy that we haven’t even gotten to the conference yet! The sleep comes fast and before we know it, the sun is up and it is time for coffee. People are moving a bit slower this morning and it is clear that many of us hit the gas a bit aggressively the night before. 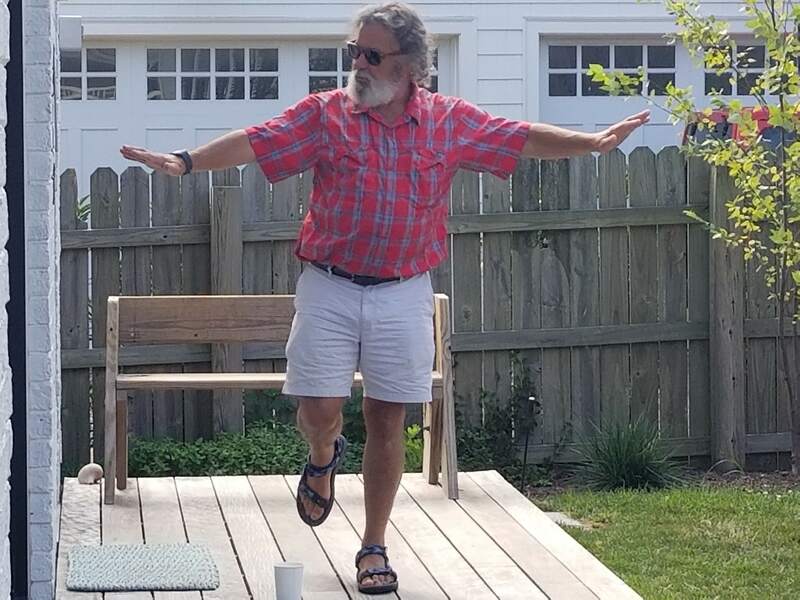 However, if there is one thing that I learned last year at the conference it is coffee and laughter can help you get over a headache from the night before. I have a nice long chat with my friend Daniel Fisher, who lives in the Hell’s Kitchen neighborhood of Manhatten. He generously shares a pastry with me and we converse and sip on coffee. Daniel is a good friend from last year who I met at the speed blogging table. He is a conference veteran and quite a hilarious fellow. As more people begin to gather in the main welcome center at the Dogfish Head Inn, copious amounts of coffee are consumed. We rehash the night before with smiles and laughter. We get on the bus and head to a much-needed meal. Amongst the several Dogfish Head Brewery places to go, the Dogfish Head Brewing & Eats brewpub in Rehoboth Beach is our destination to kick things off today. We are going to enjoy a curated mix of beers and food for lunch before we head back to the hotel in Sterling, VA. I grab a table with Jeremy Hylen, Daniel Fisher, Tiffany Martin, and Tomasz Kopyra. We start perusing the menu and before we know it, beers arrive at the table. The food menu looks good, but I opt for a burger to get a little bit of a base going for today. It is hard to pass up the chicken and waffles, but Tiffany is kind enough to share a bite of hers and I get the best of both worlds. Tomasz is an interesting cat and is from Poland. He has quite the following over in Poland and definitely gets the award for furthest distance to get to the conference. As we chat and taste beers, the distiller stops by to visit with us about some of the spirits they do at the smaller still at this location. We told him that the spirits we tried last night were fantastic and he invites us to stop by the still after we are done eating for a tour! 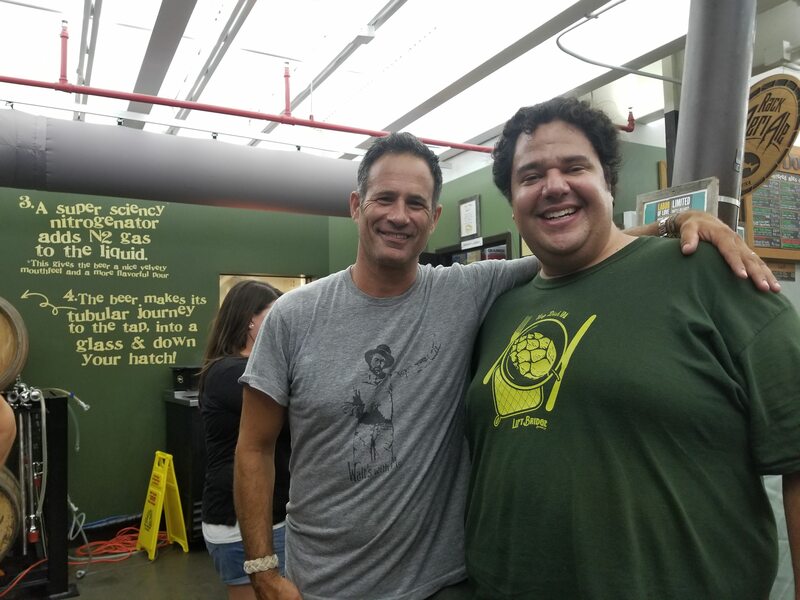 The one thing I am noticing is that everyone at Dogfish Head is incredibly nice. They all truly make their fans feel welcome and they absolutely rolled out the red carpet for us. Before we know it, we have to get back on the bus for the ride back to the hotel. 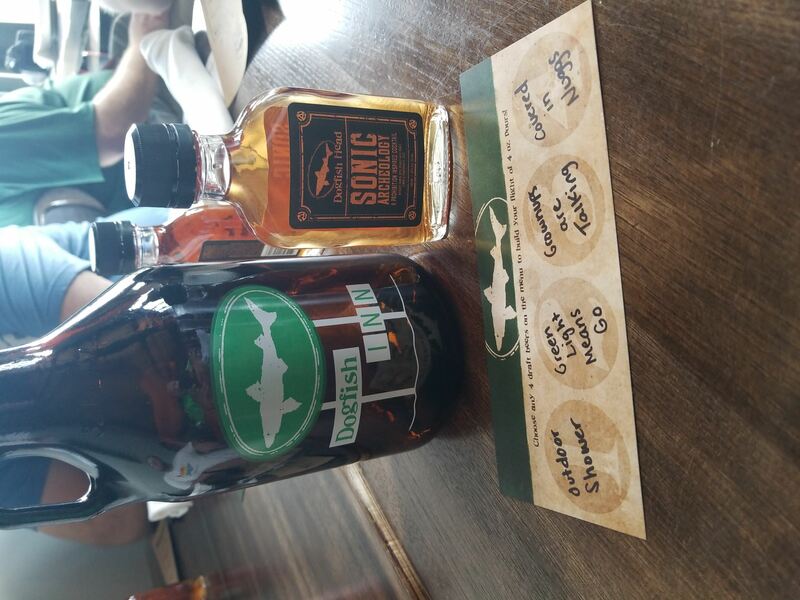 My experience at Dogfish Head can only be described as far-surpassing my expectations. The people, the beer, and the food are all incredible and I am lucky I got to experience it with so many other fun beer people. Prost! 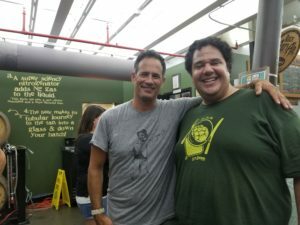 If you want to hear the recap of my experience at the Beer Now Conference and pre-con excursion to Dogfish Head, click on the link below and listen to my beer podcast, A One Pint Stand! 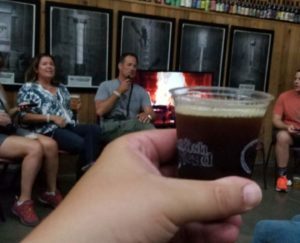 Listen to “A One Pint Stand Episode 29- Beer Now Recap Show” on Spreaker.